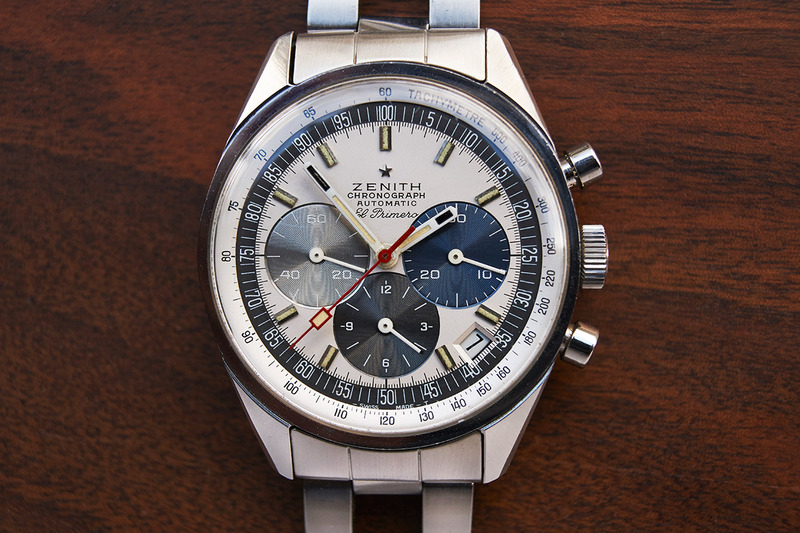 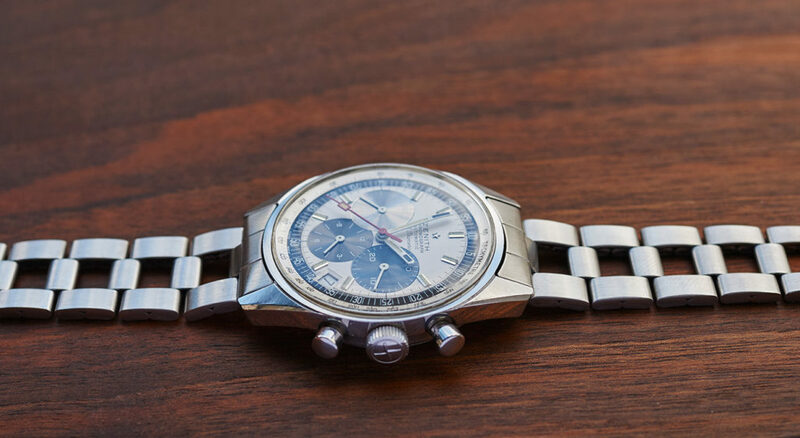 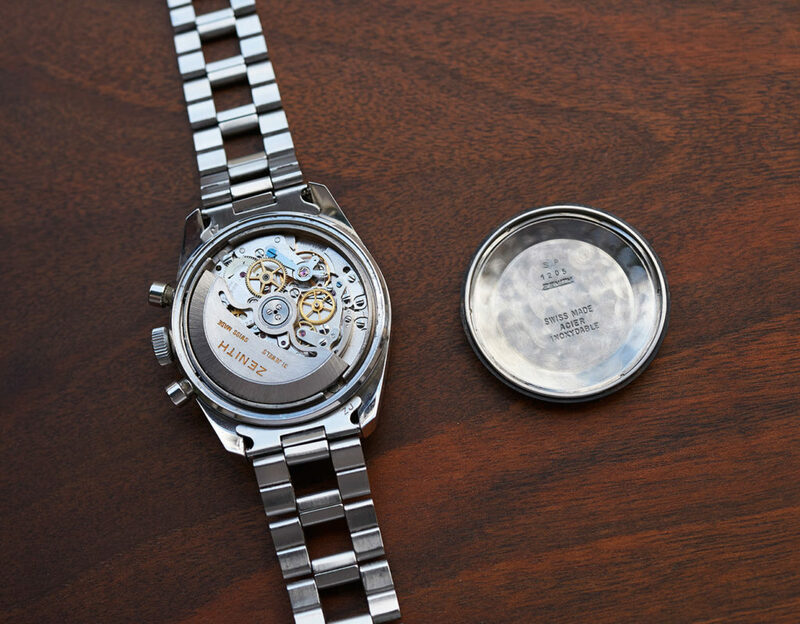 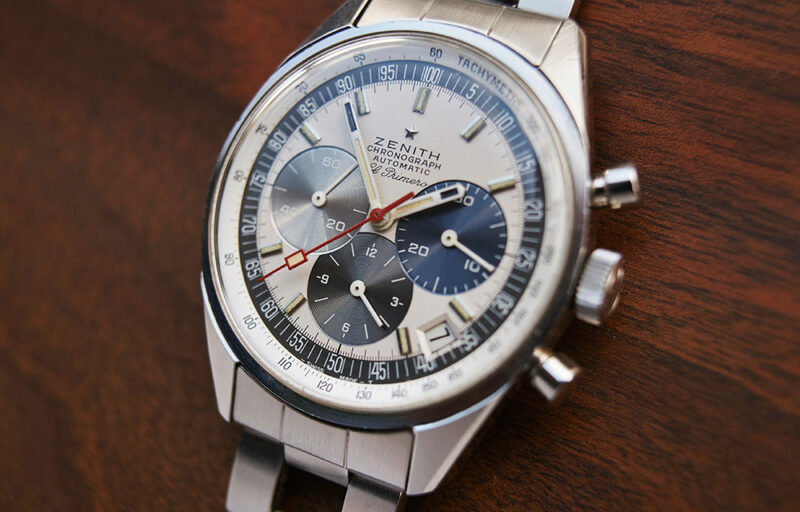 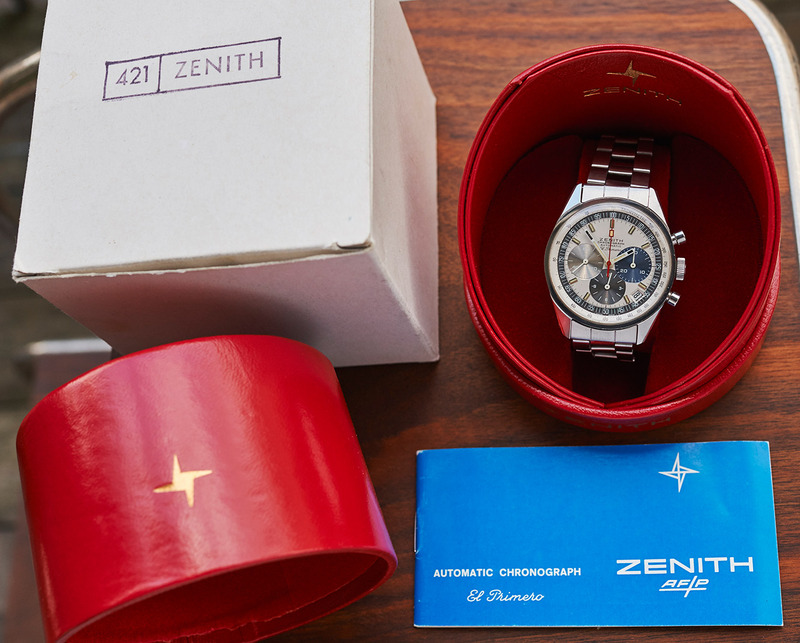 The holy grail of automatic wristchronographs is the Zenith A 386 El Primero, as it was the first chronograph in the world with an automatic movement. 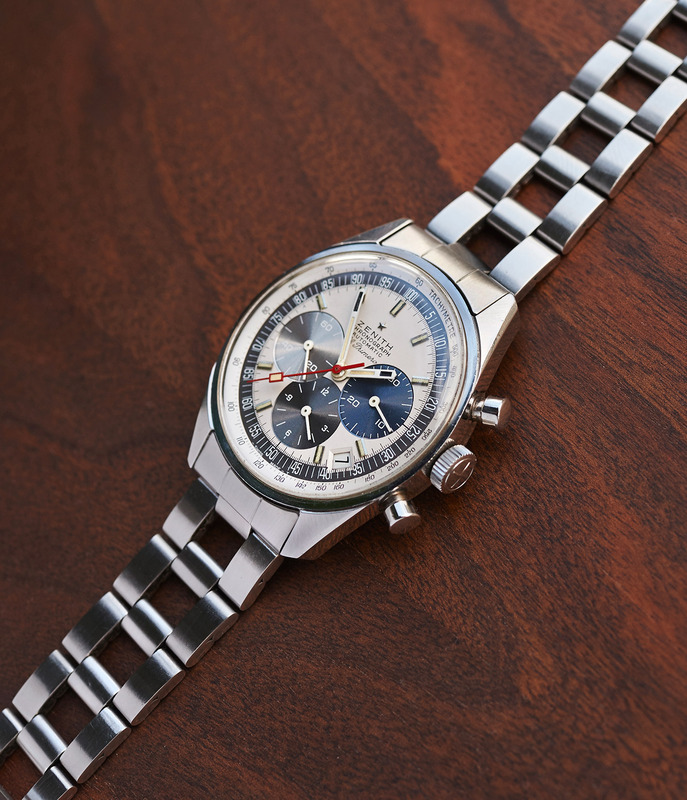 The condition of this 1970 example here can only be rated with “outstanding”, as every single part on it is still the original one, and dial, hands and case (serial 707Dxxx) appear in near mint condition. 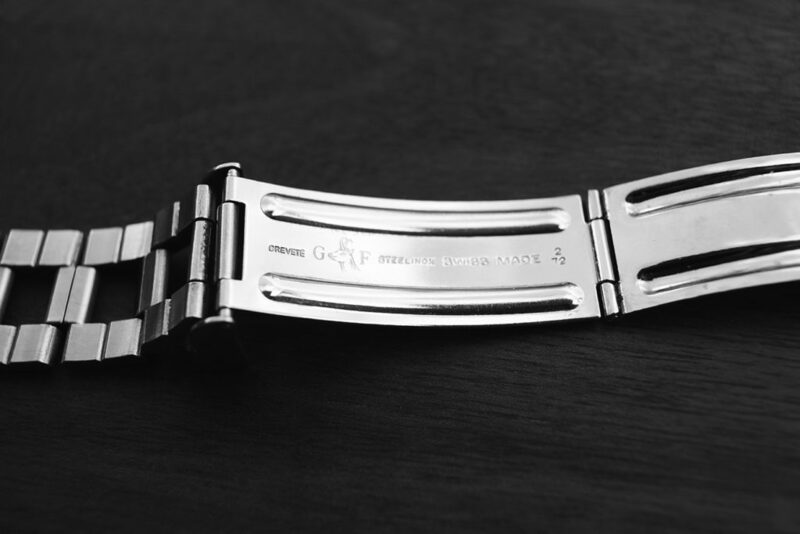 It comes on the original Gay Freres ladder-bracelet, and what makes it even more special, still with the original box, outer box and the booklet. 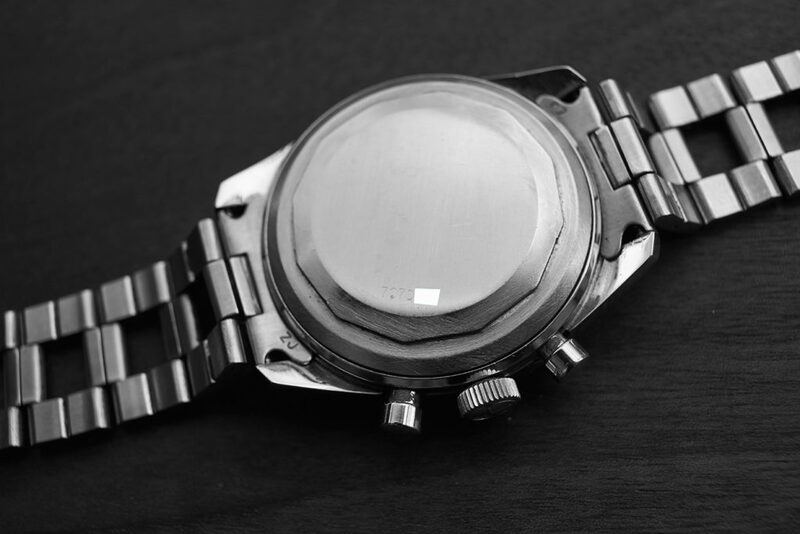 The movement was checked through by our watchmaker and is running exactly in all functions.